According to reporting from the South Florida Sun Sentinel, a Florida jury has awarded a Miami dishwasher more than $21 million in financial damages. She filed a lawsuit against her former employer after the company repeatedly failed to accommodate her religious beliefs. Eventually, the company terminated her from its position. While much of the award is unenforceable — it violates the punitive damage cap in federal court — this is a noteworthy decision. The jury took a harsh view of the employer’s actions in this case. In this post, our skilled Miami employment law attorneys provide an overview of the allegations and explain how punitive damages work in employment law claims. The plaintiff in this case is a 60-year-old mother of six from Miami, Florida. She is an active member of Soldiers of Christ Church — a prominent Catholic organization. From 2006 to 2015, she was employed at South Florida Hilton hotel as a dishwasher. Early in her time there, she informed her supervisor that her religious beliefs required her to take Sundays off. However, her employer repeatedly scheduled her to work on Sundays. Eventually, her schedule was rearranged for a period of several years. However, in 2015, the company started scheduling her on Sundays again. Title VII of the Civil Rights Act prohibits religious discrimination. 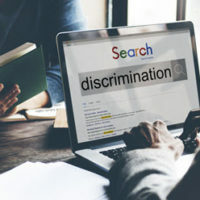 Employers covered by this federal law have a duty to provide reasonable accommodations to religious workers — unless doing so would have more than a minimal burden on the business. In this case, the jury determined that Hilton could have easily rearranged her schedule to accommodate her good faith religious beliefs without facing more than a tiny burden. However, the company failed to do so. She was eventually fired for unexcused absences on Sundays. Punitive damages are awarded to punish the bad actions of a defendant. While awarded to the plaintiff, they are not tied to a specific loss. The punitive damage award ($21 million) in this case is certainly eye popping. However, the employee will not see anywhere close the full amount of that award. Under federal law, punitive damages in these types of cases are capped at $300,000. The South Florida Sun Sentinel included a statement from a Miami-based attorney who stated that the jury was apparently “unaware” of the damage cap. The employee was also awarded $35,000 in lost wages and $500,000 in compensation for emotional distress — which she is allowed to receive on top of the punitive award. A representative for Hilton Worldwide informed reporters that the company plans to appeal the verdict. At Pike & Lustig, LLP, our Miami employment lawyers represent both employers and employees. We have extensive experience handling the full range of discrimination claims. To learn more about what our law firm can do for you, please contact us today for a confidential consultation. With offices in West Palm Beach and Miami, we handle employment law cases throughout the state of Florida.